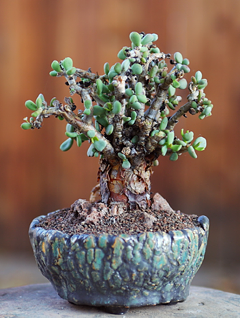 Many from Madagascar, some from Africa and Asia in or near India. 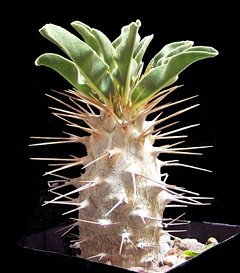 Stapeliads are mainly from Southern Africa. 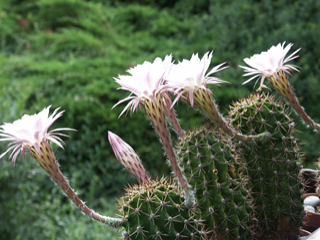 They are called carrion flowers because of the smell they emit to attract flies for pollination. 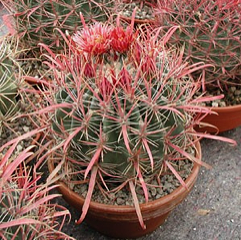 Ferocactus are fierce cacti from Mexico and Southern USA. 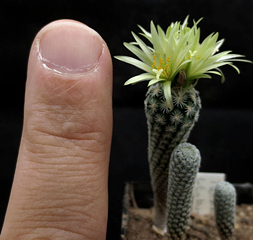 Leuchtenbergia consists of a single species, from Mexico. 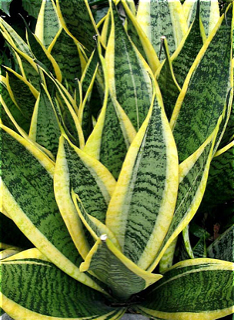 Sansevieria is a genus of about 70 species of flowering plants, native to Africa, Madagascar and southern Asia. 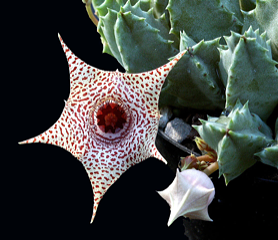 Common names include mother-in-law's tongue, devil's tongue, and snake plant. 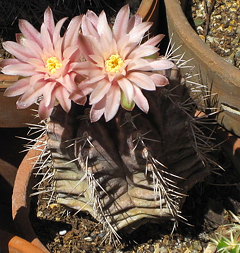 Echinopsis now includes Lobivia, Tricocereus, Helianthrocereus, and Pseudolobivia. The name means "Thick Foot". 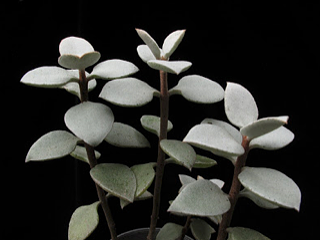 Native to only Southern Africa and Madagascar. 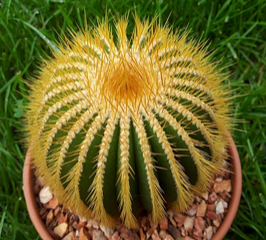 An easy to grow cactus from Argentina, Southeastern Bolivia, Western Paraguay, Uruguay, and the Southernmost part of Brazil.